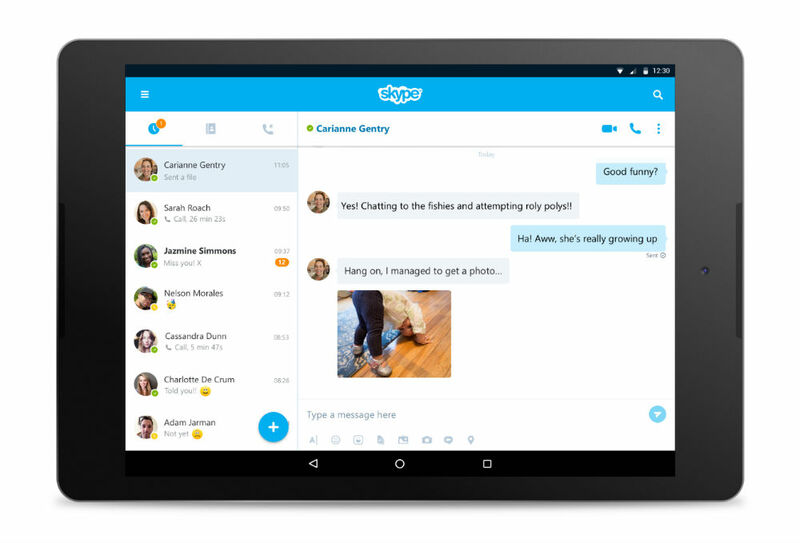 Skype 7.0 is rolling out to Android users via Google Play with a ton of changes for users of the service. First thing you should notice immediately is a redesigned UI for Android tablets, bringing more of the Material Design hotness that Skype unveiled last year on smartphones. This new UI includes a floating action button (FAB), featuring quick access to new video calls, messages, and contacts. In addition to the design changes, Skype touts an enhanced universal search feature, making it easier and quicker to find contacts, chats, groups, and Skype bots right from the main screen of the app. Multitasking is also getting an upgrade on Skype, with the new design allowing for a multi-pane view when in landscape. To enter this, simply flip your device to landscape and you will see different sections of the Skype app neatly organized.